The first of the year. I hadn’t checked the garden in a while since it has been raining for the past five days, and this guy was a surprise! 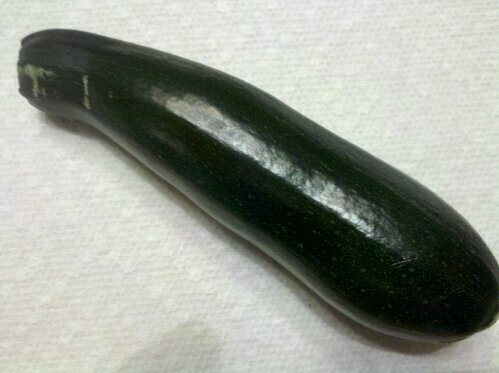 It is a little small (about 4 inches), but I am sure there are many more to come. I noticed a few of the flowers have been cut off just below the base, and am wondering if a cutworm of sorts is the culprit. If I have time tonight, I will try to go out and investigate since I have read they are active in the evening (at least when it is dark). I noticed the same flower-sheer type thing with my potato plants as well. After digging around a bit more, I was able to find these. 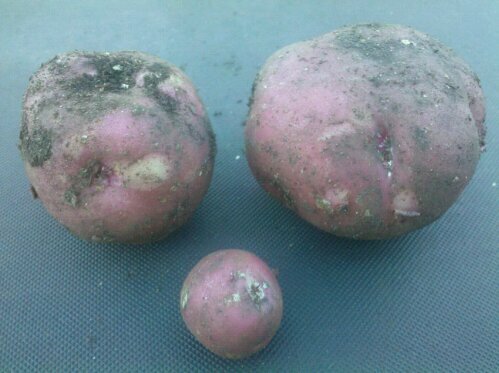 For being “New” potatoes, these (at least two of them) are larger than expected. Again, I thought there should be more, but perhaps it is still a little early. 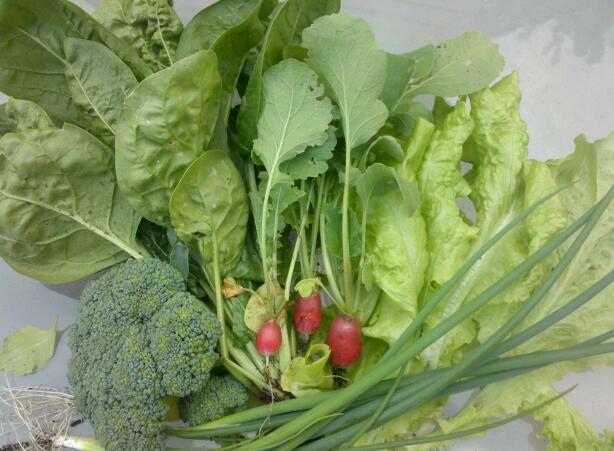 I harvested a small salad bar (OK, really small) today. The radishes are small but were being crowded out by others so I had to pull them. The broccoli and spinach are the first, the green onions and lettuce are just more of many like them before. This might be it for spinach, since it is taking a beating from leaf beetles, I am assuming.